Posted on December 6, 2017 at 4:02 pm. The Tasmanian Liquor and Gaming Commission announced on its website that it would be changing the wording of its Responsible Gambling Mandatory Code of Practice for Tasmania in 2018. The state’s regulator has adopted eight of the 18 recommendations proposed in its first review of the Code to combat problem gambling in the state, including a revision of alcohol service as mentioned above which adds to the pre-existing night hours ban. The other proposals, including banning on-site poker machine advertising, heightening regulation of self-excluded gamblers, and removing the jingle sounds from the machines, were scrapped. Australian casinos also escaped restrictions on cash withdrawal reductions and payout limits. In its report, the Commission noted “it takes time for cultural shift to occur and for the positive effects of the Code to flow through into the Tasmanian community in a measurable reduction in problem gambling”. The Gaming Commission established the Responsible Gambling Mandatory Code of Practice for Tasmania in 2012 to reduce gambling harm. The review process ensures the Code remains valid. The Commission first released an Options Paper listing 18 proposals it could integrate into the Code to reduce harm. Interested parties were eligible to enter submissions up until September 15, 2017. The Options Paper touched on several studies of Tasmanian gamblers, which found around 2000 people with a problem, 6000 adults are at-risk gamblers and 15,000 who are low-risk. Several of the arguments were considered, which is how the Commission came to the conclusion to adopt the above eight initiatives for poker machine players. The Commission will draft the amendments, which will come into effect from March 31, 2018. But Anglicare Social Action and Research Centre manager, Meg Webb, told local media outlet, The Mercury, that the code would do little to reduce problem gambling rates. “The Gaming Commission is restricted by the Gaming Act in what they can look at and what aspects of the industry they can influence,” Ms Webb said. 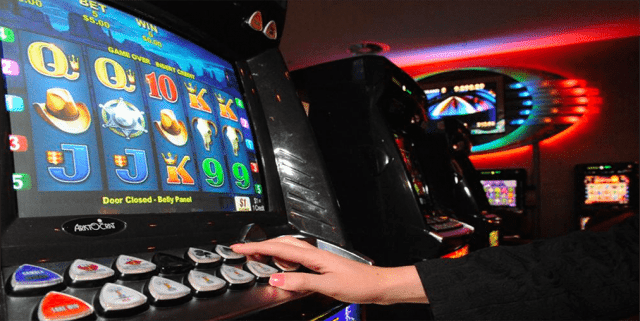 Ms Webb is calling on the government to remove poker machines from pubs and clubs, a suggestion made earlier in the year to the Joint Select Committee on Future Gaming Markets. But the Committee proposed a reduction in the number of poker machines, instead of a complete ban. Tasmanian Hospitality Association general manager, Steve Old, said he is concerned about the EFTPOS limits due to regional venues acting as a bank for locals and tourists. Can I play the pokies and other casino games online? You can play poker machines and other table games online at many top online casino sites, which are a lot more entertaining than their land-based counterparts. If you are visiting us from United States, we recommend playing at safe, secure sites such as Raging Bull Casino for fair games and convenient payment methods.